Valet parking is available at Chops. 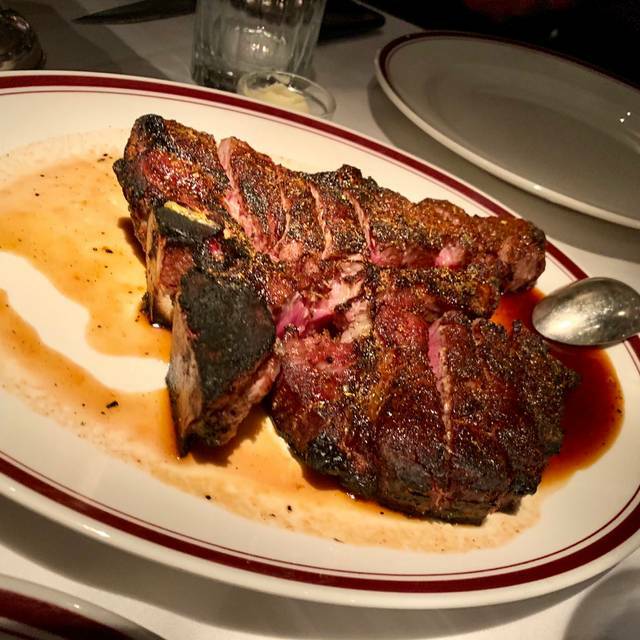 An Atlanta icon known for its exceptional food and service, Chops consistently ranks as one of the top ten steakhouses in the country. 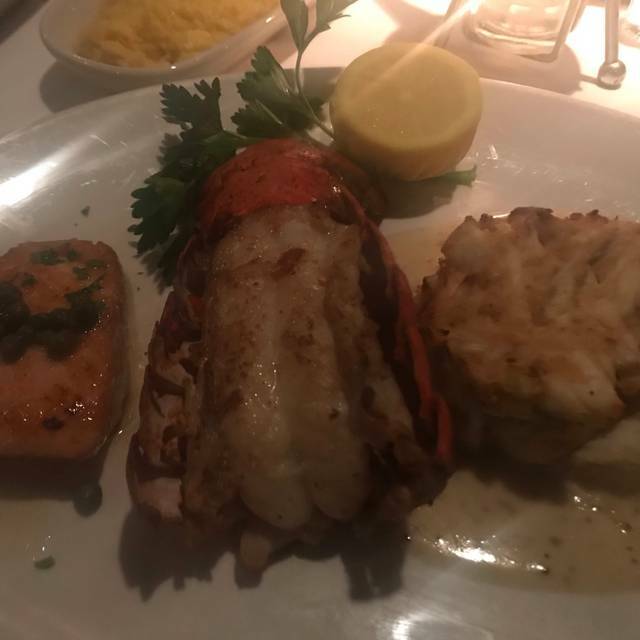 Exquisite seafood flown in fresh daily and the very best USDA prime aged beef are served with style in the warm ambience of the dark wood dining room. 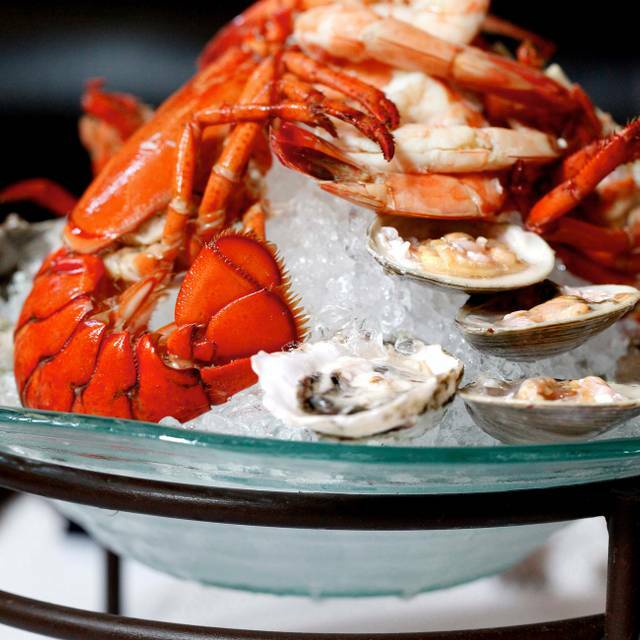 On the lower level, Lobster Bar is a seafood lover’s paradise. The mosaic-style dining room is the ideal setting to enjoy signature items like the Savannah Lump Crab Cocktail and Famous Jumbo Batter Fried Lobster Tail. 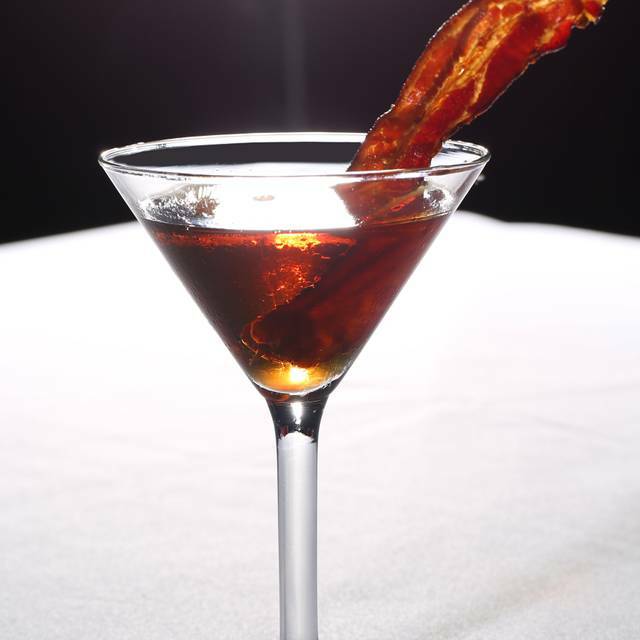 Enjoy a cocktail before dinner or savor a glass of wine from the extensive list in Chops’ inviting bar. 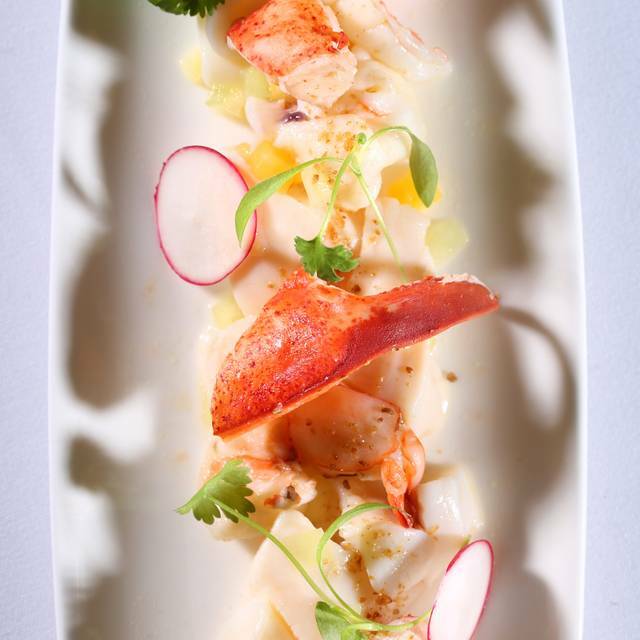 Whether you’re dining for business or pleasure, a meal at Chops is sure to make a lasting impression. Proper dress is required. Fabulous service and food! Every time we eat here we get excited about coming back. Took my wife with another couple for my wife’s birthday. The food was very good and the service was excellent. We spent the night at the St Regis Hotel right next door so it made for a great occasion. Great place to meet with friends and enjoy a great steak. Great meal! Great service! Great time! One of our favorite places to dine in Atlanta. 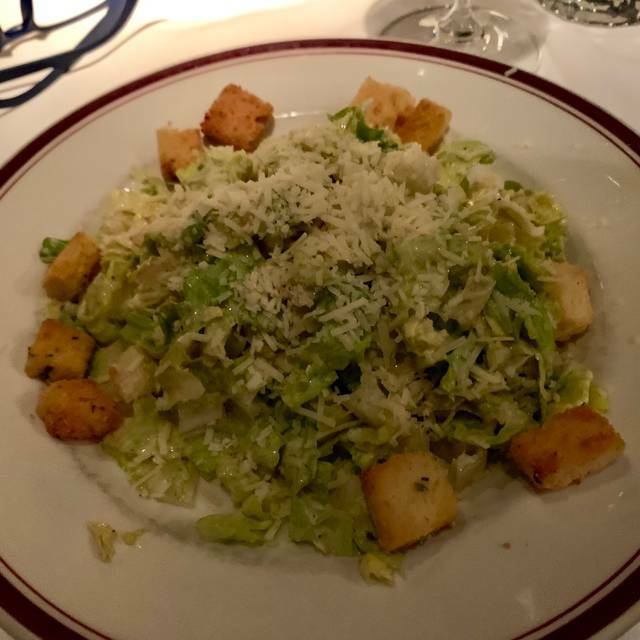 Service is superb - an Atlanta classic that always delivers. The calamari was terrible. It was mostly batter. We could barely taste the fish. For $17, you would expect a lot more. The food could have been hotter. Plates were left on our table a lot longer than needed. Waiter was very nice, drinks stayed filled. I got the halibut special they had that day and honesty just didn’t taste like a $42 meal. Just expected more. Chops Lobster Bar is always a delightful experience. 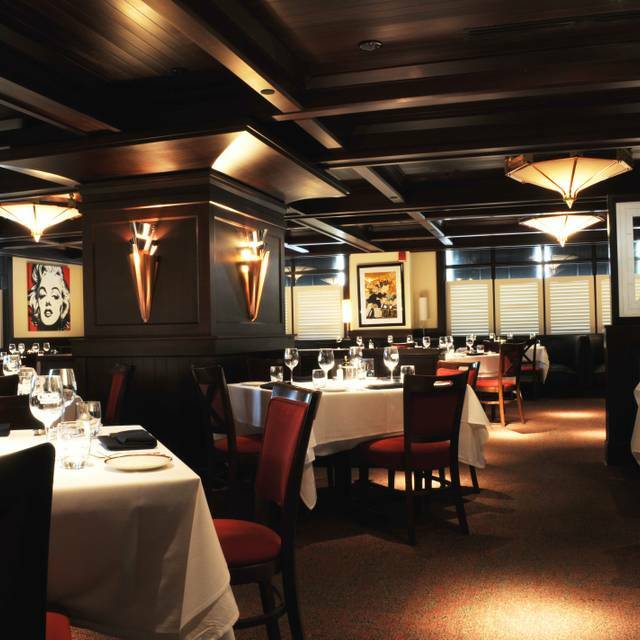 The ambiance is wonderful, the service impeccable, and the food consistently excellent! The Dover Sole was spectacular! Anniversary dinner. Good service and awesome food, ambience was excellent. Course the steak is good can’t be beat by many places. It was my birthday dinner. Great time!! Love Chops!!! Great meal as always. Chops does an amazing job. They are my go to place for special occasions. Excellent service and food all around. Our waiter was excellent! Way too expensive for a mediocre meal. I have been here before, and my food was much better. For roughly $100 per person (4 of us), you would expect something amazing. The noise level was absurd. They sat a large party right in front of us, and they were extremely loud and obnoxious. Again, if you are going to spend this much money on a family meal, you shouldn't have to yell across the table to have a conversation. The wait staff was very attentive until the large party showed up, and then we didn't see our server again until I motioned for the check. We went to Chops to celebrate my daughter's 17th birthday. The wait staff, John and Brad, went above and beyond, and made our night very special for our entire family. The steaks were amazing. We will will back for more soon!! Booth seat needs new Upholstery. Chops continues to provide the BEST steak in Atlanta. The service is as good as anywhere I’ve ever eaten. LOVE AND FABULOUS!!! A must go to! Easy valet parking! Wonderful dinner, the crabcakes were out of this world, chocked full of crab and very little filling. Husband enjoyed delicious steak. 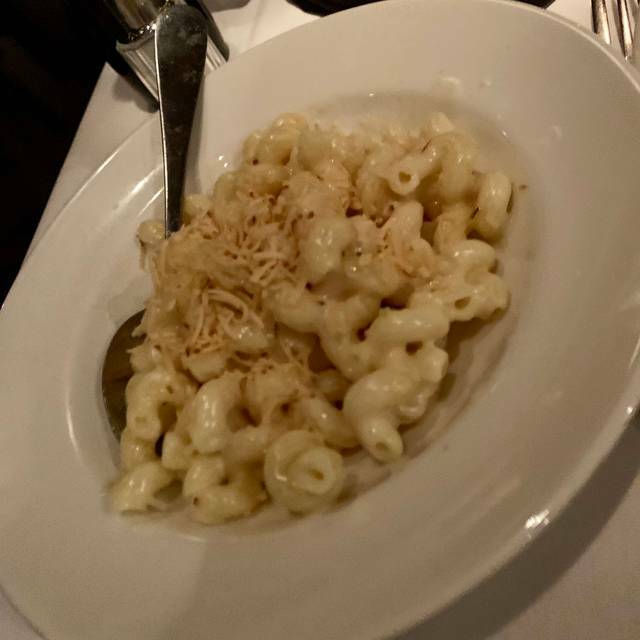 It is always a special treat to dine at CHOPS! Great service, food , and atmosphere. Place was recommended from a friend and it was the perfect setting for us. We really enjoyed our food and staff was very awesome. Thanks for having us. Hands down, the BEST steak house I have ever eaten at. It’s always AMAZING!!!! So delicious it was uncomfortable. Took a client there for a business meeting; it was quiet enough to have a conversation and nice without having too much of a “date night” atmosphere. We had a bottle of wine, appetizer and perfectly cooked steaks for under $300. Can’t beat it. Food was superb! Awesome lobster bisque with copious tidbits of lobster. Tableside spinach salad was delicious. Veal chop, steaks and fried lobster were perfect. A meal ending white chocolate banana cream pie - YUM! Our service was, perhaps, the best we have had at Chops! Thank you to all who made our evening with friends wonderful! My husband and I had a fabulous time. The service was exceptional and the food was delicious! Our first visit to Chops was a good experience overall. Our waiter just seemed a bit rude in the beginning. If you are seeking a dining experience to leave a lasting memory with a loved one this restaurant is a must. All steaks are not prepared equally and Chops is breathtaking from the very bite. We went to celebrate our 5th anniversary; It is beautiful place, very elegant. The food was delicious and the service outstanding. Great place to catch dinner. Best crab cakes outside of Baltimore. Service is top notch. Classy joint. You can't go wrong here. They were so nice and accommodating since it was my boyfriends birthday and a special dinner. Very enjoyable evening. Everything was wonderful! I took my boyfriend to Chops for his birthday. I reserved the dinner on open table in the notes section I indicated it was his birthday, I requested a desert with a candle and the birthday song (joke). 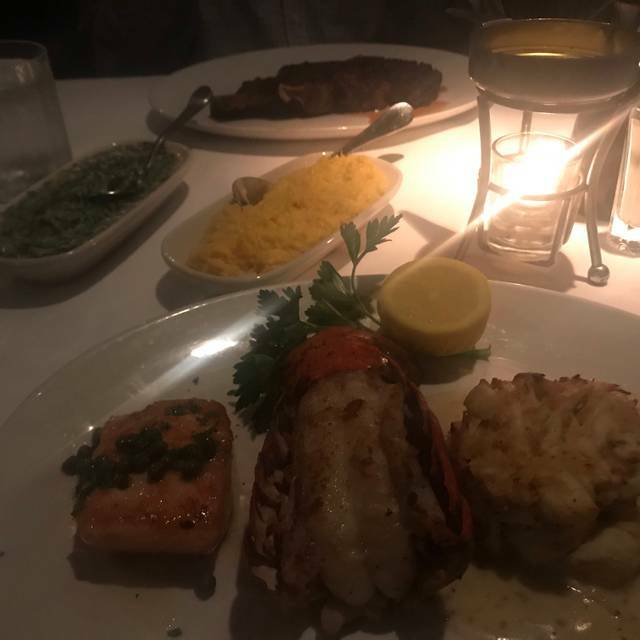 The corner window seat, the lobster mashed potatoes, fried lobster, Hong Cong Combo with extra sauce for the rice, crab cakes, and chili shrimp were all perfect, to top the night off the desert with a candle was also amazing. We were extremely happy with the service and ambiance!! Chops is a must for any occasion! Everything was perfect! The food was amazing of course, and we were seated at the table we requested. We were celebrating my husband’s birthday (shh) and our son’s return to college after a visit. Our wait staff could not have been more accommodating even bringing a special dessert for our son. He was THRILLED! Thank you so much!